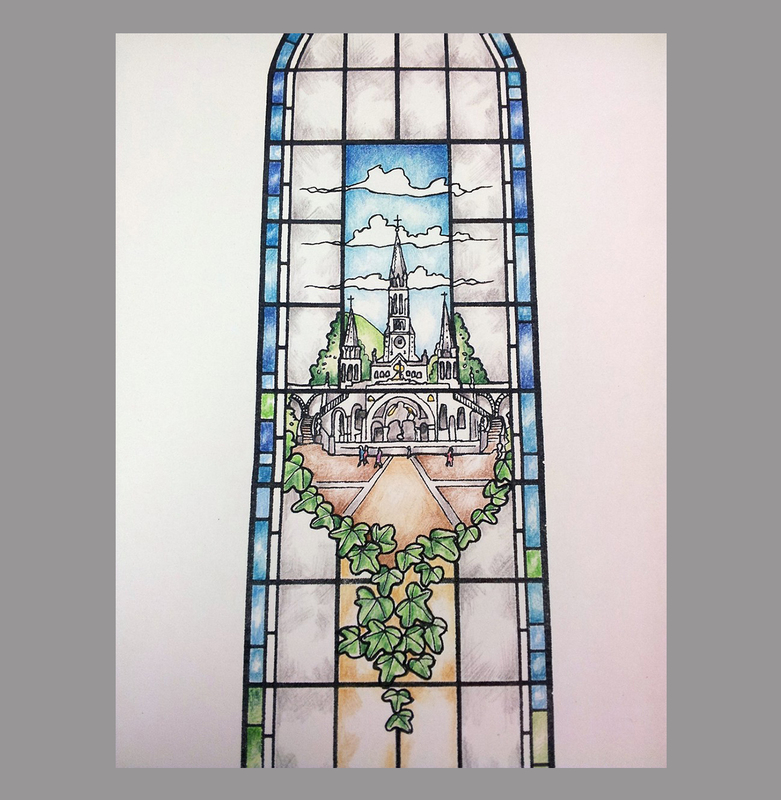 These images show the design process from initial rough draft sketch to final scaled presentation art-work for the production of a new memorial stained glass window featuring St. Bernadette Soubirous and Lourdes Basilica. 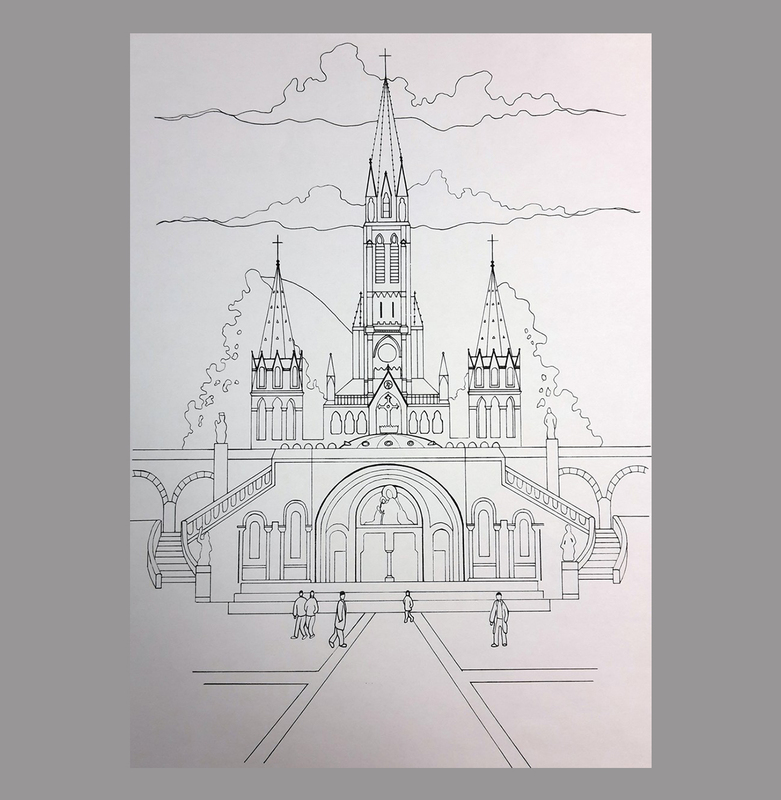 Currently in production for St. Mary’s RC Church in Haslingden, the designs principle elements were selected by the client in reference to the great amount of time devoted to Lourdes by Fr. James Christie, the former priest of St. Mary’s, to whom the window will be dedicated in memorium. 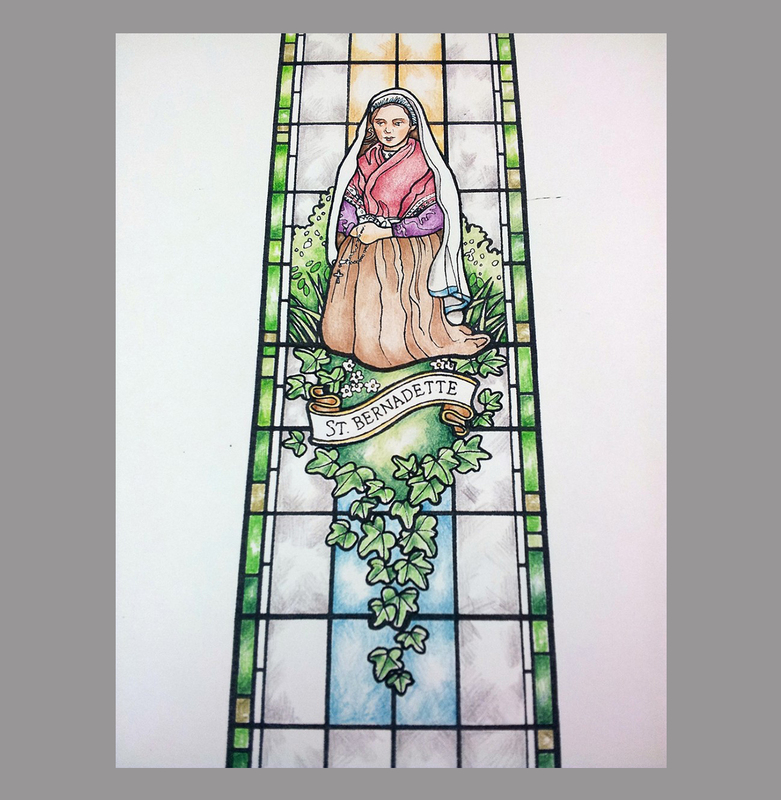 An initial concept including St. Bernadette’s famed visions of Our Lady of Lourdes, documented to have taken place in 1858, was replaced with this second concept as the church already has two windows featuring St. Mary. 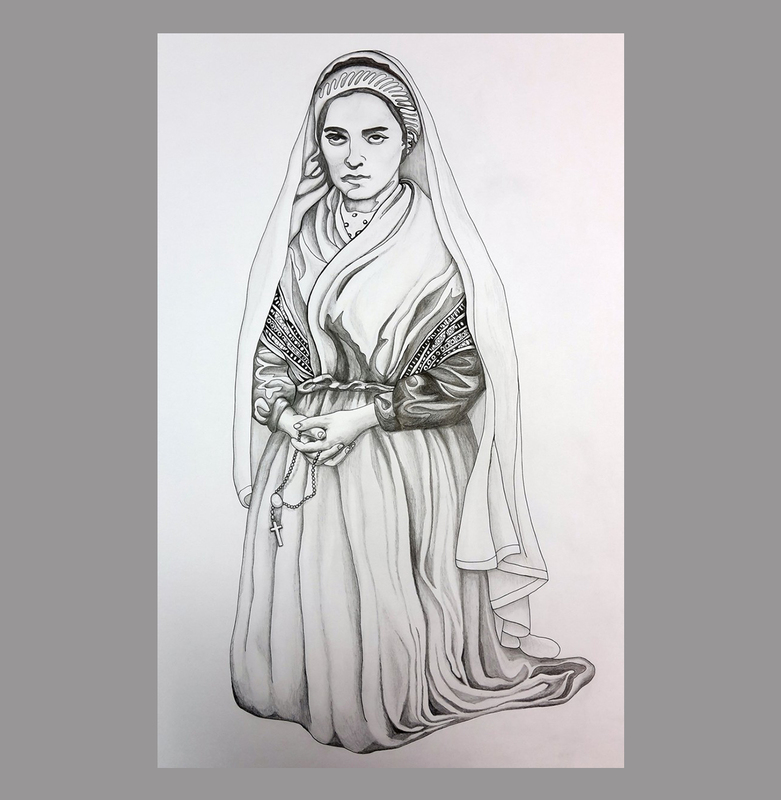 While restrictive in terms of the limited dimensions of the windows width, there was sufficient space to include faithful interpretations of the figure of St. Bernadette and the imposing Basilica using a number of existing photographs of both as reference. 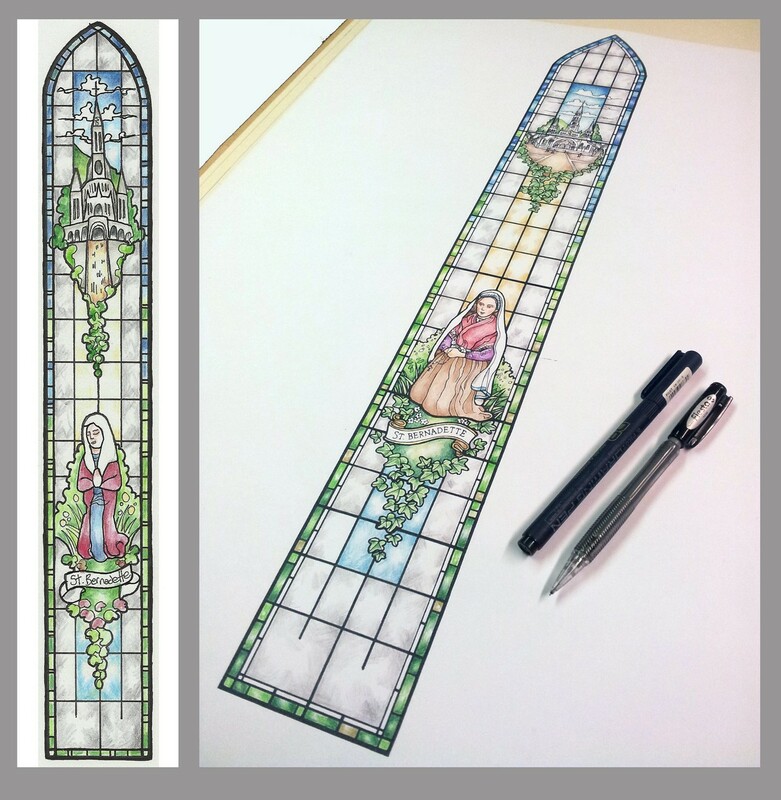 Our images also include the full sized working drawings of both elements from which we have proceeded to cut and paint our glass.